Sedation Root Canal Dentist and Root Canal Alternatives? Yes. our sedation dentist, Dr. Adams, can do dental sedation for any dental procedure including a root canals under dental anesthesia. And of course crowns can be done with sleep sedation as well. Typically a root canal and crown would take 3 hours to complete and require 2-3 dental visits. With sleep dentistry more dentistry can be done in one appointment. Most of the time a root canal and crown can be done in one easy sleep dentistry appointment while the patient is comfortably sedated. Sedation Dentistry for a Root Canal and Crown? There are other options to be considered when doing root canal sedation. Such as whether or not you even need a root canal. For example, if a tooth is inflamed, sensitive and aching, we will take a look to see what is causing the symptoms. 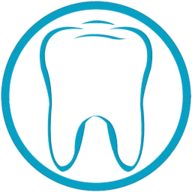 For example the tooth may be cracked, have decay or be in a bite that is too heavy. Or the tooth may not even be repairable and you should consider a root canal or implant options. We can diagnose the problem and perform the appropriate treatment. We also have dental ozone which has been shown to calm the tooth down and promote healing. A root canal under sedation should be the last resort. Should High Anxiety Patients get Root Canals? Any dental procedure can be comfortably done under full IV dental sedation, right? Yes, but what if the treatment is not predictable and does not work? Root Canals are not predictable and sometimes they do not work. Root Canals last on the average 5-10 years and then what? You are going to do another Sleep Dentistry appointment for a Dental Implant? Yes, if you want a tooth. The life expectancy of a dental implant is a lifetime. The point is, the predictability and success rate of a procedure is a bigger factor for patients with high dental anxiety. Most high anxiety patients who need sleep dentistry would rather choose a more predictable procedure than risk sitting through multiple Sedation Dentistry appointments. Not to mention who wants to pay for a Root Canal and then later pay for a dental implant plus 2 rounds of sedation dentistry? For more information about root canal sedation versus Implants visit this link.